Congratulations to the Sellers of this Fabulous home and Best Wishes to the Buyer of this Great Property. We wish everyone the Best of Luck with much happiness as they move forward. These Sellers came to me from my farming of expired listings in the Poconos. We worked together very well to determine the Best price and most Effective marketing to get their home sold. I've greatly enjoyed working with them and shall miss them as they move out of the area on their "new venture." The property sold for $385,000 when listed at $399,500.00 which is a very good price for a house with over 5,000 square feet located on 5 acres. RETREAT TO THE MOUNTAINS IN THIS BEAUTIFUL CHALET! Good morning Bobbie Smith wow... that's an elegant home and congratulations on your sale..... sellers with homes of that magnitude would be wise to call you for guidance.... I hope you did a target marketing campaign to those homeowners sharing this good information.... you could do this for them, too!!! Bobbie, congrats on the sale of 241 Chipperfield Drive. Another job well done. Good morning REALTOR Bobbie Smith. A big congrats on taking another home off the real estate market. 241 Chipperfield Drive Effort, PA 18330 looks like a very nice home and acreage and I know all concerned are thrilled. Hello Bobbie, Great job and I really like the post card. I am mailing out more just sold post cards this year and getting phone calls back. Good Luck! Barbara, Thank you and Yes, I am doing a tarket marketing campaign just to them. Thank you for always putting great ideas like this in our heads. You are our "Queen of Marketing." Hi Gabem, Thanks. It was a lovely transaction with Wonderful Clients. They are. The Sellers get to move forward in their new direction and the Buyers get the Home of their Dreams! Snail mail works. Especially if you keep at it on a regular basis. Barbara Todaro teaches us this very well. Bobbie: Your sellers were wise to put their trust in you...the result is a closed home! Congrats on this recent Effort PA sale. Hi Ron and Alexandra, Thanks so much! It was a Stunning home with wonderful owners. Hi Anita, It was one of those great Listings with Savvy Sellers. Thanks. 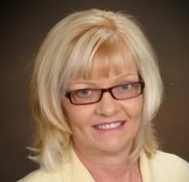 excellent Bobbie and your are a true PA real estate agent who gets it done for sellers! yes, i am heading to the balloons & very excited! Congratulations on the sale of this charming estate home on 5 acres in Effort, PA. Sellers were wise to hire you to get the job done!! OMG, that is one gorgeous home! Congrats on the sale and congrats to the sellers and new owners!